Acting U.S. Attorney Alexander C. Van Hook announced that a Church Point woman pleaded guilty Wednesday to methamphetamine and cocaine distribution in Acadia and Lafayette parishes and firearm possession. 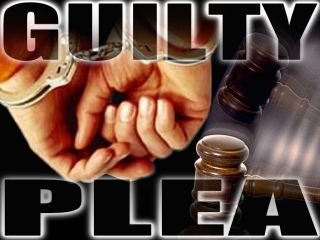 Courtney Lynn Daigle, 41, of Church Point pleaded guilty before U.S. Magistrate Judge Patrick Hanna to one count of conspiracy to distribute and possess with intent to distribute at least 500 grams of methamphetamine and 5 kilograms of cocaine, and one count of possession of a firearm and ammunition by a prohibited person. The plea will become final when accepted by U.S. District Judge Dee D. Drell. According to the guilty plea, law enforcement agents identified Daigle as a supplier of methamphetamine while investigating drug distribution in Acadia and Lafayette parishes. Law enforcement executed a federal search warrant Feb. 3 at her residence in Church Point and a state search warrant at a related residence in Rayne. As a result, law enforcement recovered a Smith and Wesson SD9VE 9 mm handgun, 60 rounds of 9 mm ammunition, and approximately 679.1 grams of methamphetamine, 873.1 grams of cocaine, 12.9 grams of cocaine base, 589. 4 grams of marijuana, 82 dosage units of LSD, 116 dosage units of alprazolam, 1.5 dosage units of hydrocodone, one 10 milliliter vial of testosterone cypionate, and one 10 milliliter vial of testosterone enanthate. Officers also recovered $5,000, digital scales, vacuum bags/sealer and narcotics packaging. Daigle faces 10 years to life in prison, at least five years of supervised release, and a $10 million fine for the controlled substances count. She also faces up to 10 years in prison, three years of supervised release and a $250,000 fine for the firearms count. The court set sentencing for Feb. 16, 2018. The DEA, ATF, Louisiana State Police, Lafayette Metro Narcotics Task Force, Acadia Parish Sheriff’s Office and Eunice Police Department conducted the investigation. Assistant U.S. Attorney Daniel J. McCoy is prosecuting the case.